Leak from a clogged gutter? Rotting wood around the exterior trim? New art to hang on the wall? Empty moving boxes need to be picked-up and recycled? TV channel changer not programmed? Nail holes need patching and painting? Kitchen cabinet drawer off the tracks? Overhead light bulbs need replacing? Yes, we will take care of it for you! No longer do you have to find a handyman or call a service repairman. No longer do you have to wait at home all day in hopes that the repairman shows up. No more first visit payments for the service appointment. 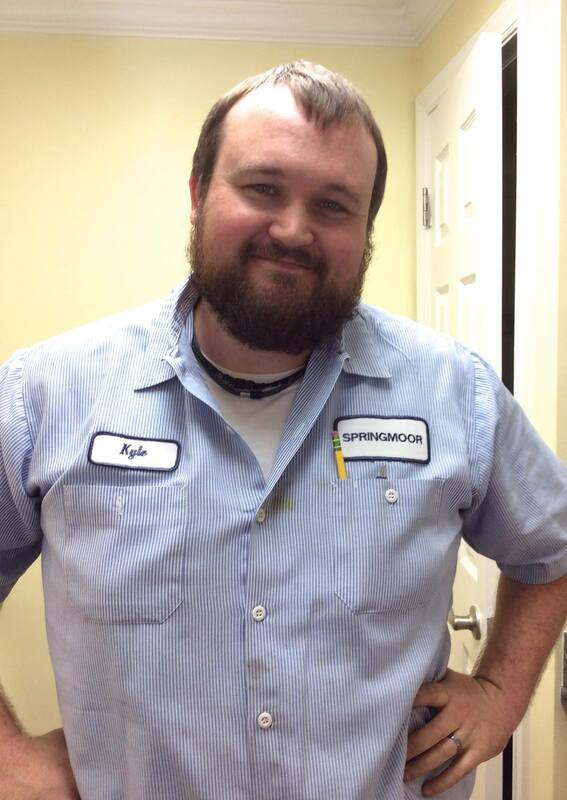 Our maintenance department is a phone call away and the repairs are taken care of with no additional fees. 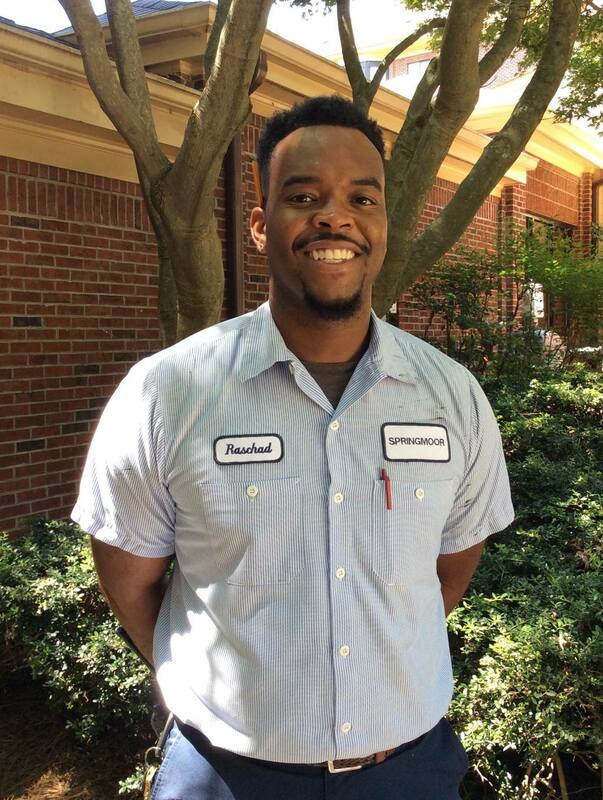 The Maintenance Department is on campus everyday and always on-call for emergency visits. They greet you with a smile, take care of your needs and always find a way to repair whatever is broken. 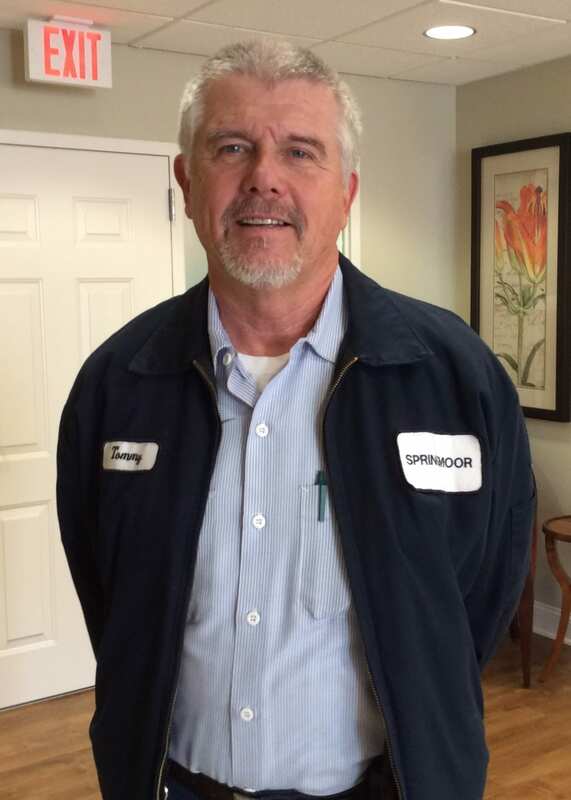 Randy Horton, our Maintenance Department Manager has been at Springmoor for 17 years. If he can’t fix it, he knows which expert to call in for help. You simply leave a message in his office, a time you will be available and then he takes care of everything else! Of course, he oversees the maintenance of the buildings as well as each individual resident’s home. The boilers, the ovens, the phone systems, the fleet of cars, the trash pick-up, painting and so much more are on their daily list. The maintenance team has a dedicated staff of employees that takes care of everything from entire apartment renovations to changing a light bulb. Tommy Mangum has been with Springmoor for five years. You’ll find him most often in one of our houses or villas. Asked what was the strangest repair he has been asked to tackle, he told us he was asked to track down a “beeping sound” in a home. Turns out it was a pacemaker battery. 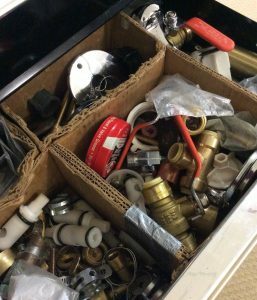 Plumbing and TVs are most often on his list. He says he typically visits 20 residents a day to take care of their repair needs. Kyle Horton has been with Springmoor for seven years and you will find him in the East or West apartments. He too says that TVs and clogged sinks are his biggest request. The new Smart-TV technology and Time Warner’s cable box challenge even the most tech-savvy customers. Unclogging a sink proves to be a little more difficult but nothing that our team can’t handle! Raschad Revels can be found in the Creedmoor or Valley apartments in South Village. He has been here for two years and loves working with the residents. 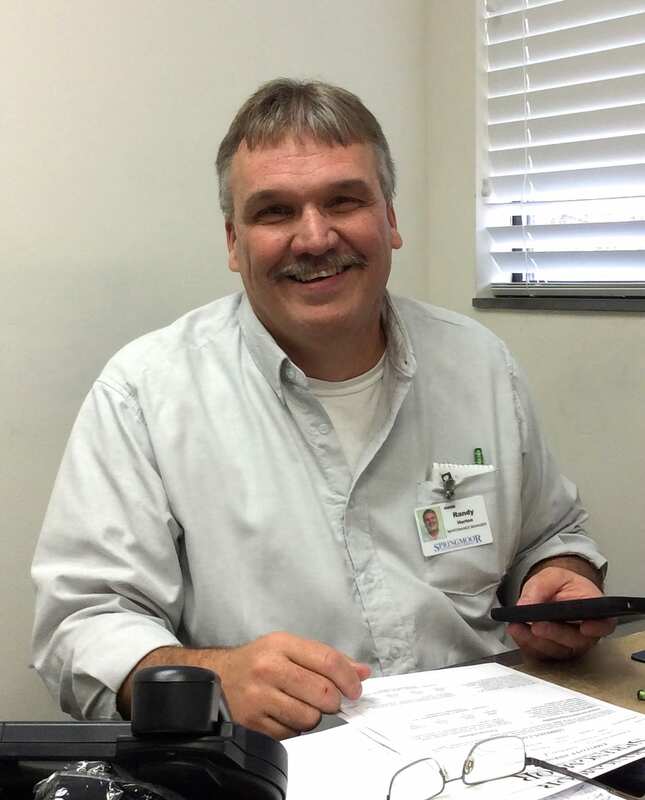 When a new resident moves in to Springmoor, the maintenance department is typically the first phone call they will make. Hanging pictures on the wall and programming the TV are all part of our welcome procedures. If there is a television to be hung or a ceiling fan to be installed, they will take care of it for you! José Domingo can usually be found in the Stewart Health Center. He was repairing ceilings and insulation this morning. Another long time employee, José has been working at Springmoor for the past 17 years. He says the easiest thing he does is change light bulbs – and the hardest is always the plumbing. 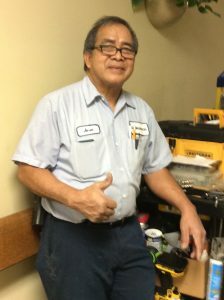 Asked if he has time to do repairs at home too, he laughs and says “yes,” he’s working on new floors and electrical projects over his weekends. As a Springmoor resident, your worries about maintaining a home are now left in good hands. You have time to enjoy a water aerobics class, an afternoon movie or an OLLI class at NC State. The landscaping department takes care of the grounds and the maintenance department takes care of the buildings. And you can take care of filling your day with exciting activities. Leave the repairs to us!